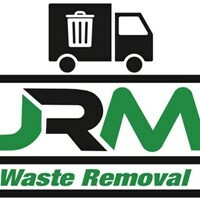 JRM Waste Removal - Rubbish/Waste/Clearance based in Romford, Essex. We are based in Essex, JRM Waste Removal service offer a fast and reliable service and try to give the best quote possible for domestic & commercial customers in and around Essex. There's never a job too big or too small. Our professional team take on all aspects of rubbish removal work from household waste to office, garden, building waste and more. We are a small business and customer satisfaction is important to us! Our team will come give you a free no obligation quote and if you're happy with the price we can start straight away. We are fully licensed waste disposal carriers and we always comply to ‘Environmental Policies’ and regulations set out by the government. We are committed to promoting sustainability by reducing waste, while at the same time increasing Recycling. Using JRM Waste Removal service instead of hiring a skip takes all the stress out of doing it yourself on to us and may be cheaper too. So give us a call today and we will do all the hard work for you.